“Finding a gym in London is really difficult – they can be very expensive, and you can easily end up paying a lot of money for very little. At YMCA Wimbledon, you get everything you need for an affordable price. The gym here is spacious, and you’re never stuck for equipment to use. Also, there’s rarely a queue to use the equipment”. 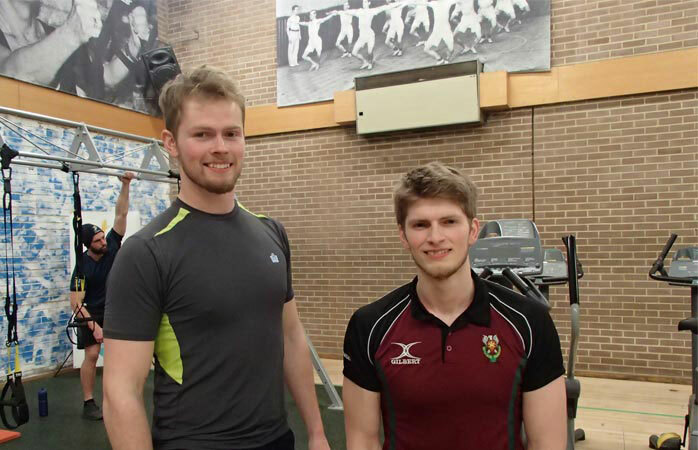 Wimbledon based brothers Dominic and Benedict Ryan definitely know what they are talking about when it comes to gyms. 23 year old Benedict, who signed up with the gym at YMCA Wimbledon one year ago, said he did lots of research into different gyms in the area before settling on the YMCA. “I pretty much looked at every gym from here to Putney, and this was definitely the best one,” Benedict says. Older brother Dominic signed up in September 2014. “Before I moved to Wimbledon, I was a member of a huge gym in Edinburgh. It certainly didn’t have that same friendly, familiar atmosphere,” he says. The brothers have a shared interest in fitness and together they go the gym about four times a week. Keeping the exercise varied, but also working towards some set goals, seems to be the success factor for Dominic and Benedict. “We do functional workouts, not ‘pure’ bodybuilding. We have a plan we’re working towards, and it’s motivating to make progress and see the fat percent change,” they say. “We are at different levels so we don’t really compete with each other. We work more as a team and try to motivate each other,” Dominic says. The two of them don’t really have any particular New Year resolutions, other than keeping on working towards the goals in their fitness plan. Although, having said that, Benedict admits that they have given themselves one challenge in the New Year – trying to stay away from sugar. “At the moment, all we’re eating is chicken and vegetables” he says. “We’re just trying to get to that bad habit of snacking on unhealthy stuff, which I think comes just as much from being a bit bored as anything”. Taking on challenges is nothing new for these brothers, who have ran Marathons and done several obstacle races. In May this year, Benedict is doing the Tough Mudder Challenge. Brother Dominic is tending to an injury at the moment, and will not be taking part. The two sports enthusiasts devise their own workout plans and thus, they haven’t really taken advantage of the Get Started Programme at YMCA Wimbledon, which is designed to support new members. Through five one-to-one sessions with qualified Fitness Instructors, new members get advice on nutrition and correct use of the gym equipment. They also get a bespoke fitness plan. “I actually did the programme when I first signed up, and some of the exercises they recommended I still do. Others I replaced with exercises I felt were more beneficial for me,” Benedict says. Dominic and Benedict are definitely an inspiration to other gym members at the YMCA, with their passion for fitness and disciplined attitude, working towards their goals. There is one area at the gym, however, which remains to be explored – the fitness classes.